For purposes of this agreement, the SPIA Index™, all data accessed directly or indirectly from the Website (in whole or in part), plus all weather analysis information shared by the Company through the Website, email, social media or other electronic means are defined as the “Products”. Additionally, the collective offering provided by the Company, its Website and its Products is defined as the “Service”. Information provided by the Service to the Subscriber can be utilized only for Subscriber's sole and exclusive use and shall be considered proprietary information, ownership of which shall remain with the Company or its Providers. Subscriber may view, download, copy and print Products subject to the following restrictions: (1) the Products may be used solely for personal and/or internal purposes and may not be re-distributed without the express written consent of the Company; (2) the Products may not be modified or altered in any way; (3) any copyright or other notices must appear on all copied Products; and (4) certain Products on this Website may be subject to further use, modification, copying and/or dissemination restrictions which shall take precedence over this general provision. The Website is usually available 24 hours a day, 7 days a week, however, Company reserves the right to make the Website unavailable from time to time for any reason and at any time without prior notice. Subscriber agrees that Company shall not be liable for any damages arising from any interruption, suspension or termination of the Website. Subscriptions are available for purchase by the Subscriber for access to fee-based Products. Subscriber agrees to pay to Company the agreed upon fees for various fee-based Products and services available by or through the Company. Failure to pay these fees in a timely manner will result in an interruption of fee-based Website Products and Services and the inability to access the fee-based sections of the Website. Charges and the subscription package content are negotiated between Subscriber and Company, the terms of which are defined in the End User License Agreement (EULA). Subscriber shall be responsible for obtaining and maintaining all devices, wired or wireless communications means, telephone, computer software, computer hardware and other equipment needed for access to and use of the Services. Subscriber consents to receive communications from Company electronically. Company will communicate with Subscriber by e-mail or by posting notices on the Services. Subscriber agrees that all agreements, notices, disclosures, and other communications that Company provides to Subscriber electronically shall satisfy any legal requirement that such communications be in writing. Company may periodically contact Subscriber for customer service purposes. By accessing the Services, Subscriber consents to receive such communications. Subscriber’s participation in such customer service initiatives shall be entirely voluntary. Company shall keep any personally identifiable information obtained through such initiatives as confidential, except as required by law. Company may use, in the aggregate, any information gained through such customer service initiatives that is not personally identifiable in its marketing or sales materials and initiatives. Company assumes no responsibility, and shall not be liable for any damages to, or viruses that may infect Subscriber’s computer equipment or other property on account of Subscriber’s access to, use of, or browsing in the Services or Subscriber’s downloading of any materials, data, text, images, video, or audio from the Services. Software and other materials from the Services may also be subject to United States Export Control. The United States Export Control laws prohibit the export of certain technical data and software to certain territories. No Products from the Services may be downloaded or exported (1) into (or to a national or resident of) Cuba, North Korea, Iran, Syria, Sudan or any other country to which the United States has embargoed goods; or (2) anyone on the United States Treasury Department's list of Specially Designated Nationals or the U.S. Commerce Department's Table of Deny Orders. Company does not authorize the downloading or exportation of any software or technical data from the Services to any jurisdiction prohibited by the United States Export Laws. Licensee should contact the Bureau of Export Administration, United States Department of Commerce, Exporter Counseling Division, Washington, D.C., http://www.bxa.doc.gov/. Subscriber acknowledges and understands the uncertainties associated with precise predictability of weather conditions. The Company provides information on the Website using gridded forecast data provided by the National Weather Service. Though this data is considered best-of-breed, Company does not and cannot make any express or implied warranties, guarantees or assertions that the weather information presented on the Website will occur as forecast or has occurred. Company and its providers have no responsibility or liability to Subscriber or to anyone else for any inconsistency, inaccuracy or omission in any part of the information that is presented on the Website. 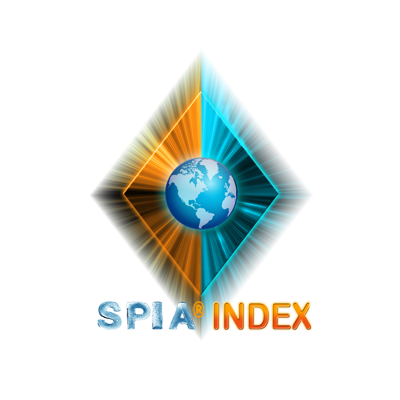 The SPIA Index™ (the “System”) was developed based upon a database of known conditions and resulting damage. While this information can be extrapolated to make predictions to various weather conditions, there is no guarantee the actual resulting damage will match that predicted by the System. Further, actual resulting damage can be impacted by other factors not considered by the System, such as shifts in wind direction, time of year, construction standards of utilities in affected areas, age of utility systems, amounts of foliage in area, etc. THE SERVICES ARE PROVIDED AS IS, AND YOU EXPRESSLY AGREE TO USE THE SERVICES AT YOUR RISK. THE COMPANY EXPRESSLY DISCALIMS ALL WARRANTIES OF ANY KIND, PAST OR PRESENT, WHETHER STATUTORY, COMMON-LAW OR FROM A COURSE OF DEALING OR USAGE OF TRADE. THESE INCLUDE WITHOUT LIMITATION, IMPLIED WARRANTIES OF MERCHANTABILITY, FITNESS FOR A PARTICULAR PURPOSE, ACCURACY, RESULTS OR OUTPUT, SECURITY AND, EXCEPT AS MAY BE OTHERWISE STATED IN THIS AGREEMENT, NON-INFRINGEMENT. WITHOUT LIMITING THE FOREGOING, COMPANY ALSO DISCLAIMS ALL WARRANTIES FOR OR WITH RESPECT TO: (a) THE SECURITY, RELIABILITY, TIMELINESS, ACCURACY AND PERFORMANCE OF THE SERVICES, AND CONTENT ACCESSED THROUGH THE SERVICES; (b) COMPUTER WORMS, VIRUSES, SPYWARE, ADWARE AND ANY OTHER MALWARE, MALICIOUS CODE OR HARMFUL CONTENT OR COMPONENTS ACCESSED, RECEIVED OR DISSEMINATED THROUGH, RELATED TO OR AS A RESULT OF THE SERVICES; THESE DISCLAIMERS SHALL APPLY TO THE FULLEST EXTENT PERMITTED BY LAW. COMPANY SHALL UNDER NO CIRCUMSTANCES BE LIABLE FOR ANY ACCESS TO, USE OF OR RELIANCE ON THE SERVICES BY YOU OR ANYONE ELSE, OR FOR ANY TRANSACTIONS, COMMUNICATIONS, INTERACTIONS, DISPUTES OR RELATIONS BETWEEN YOU AND ANY OTHER PERSON OR ORGANIZATION ARISING OUT OF OR RELATED TO THE SERVICES, INCLUDING BUT NOT LIMITED TO LIABILITY FOR INJUNCTIVE RELIEF AS WELL AS FOR ANY HARM, INJURY, LOSS OR DAMAGES OF ANY KIND INCURRED BY SUBSCRIBER OR ANYONE ELSE (INCLUDING, WITHOUT LIMITATION, DIRECT, INDIRECT, INCIDENTAL, SPECIAL, CONSEQUENTIAL, STATUTORY, EXEMPLARY OR PUNITIVE DAMAGES, EVEN IF COMPANY HAS BEEN ADVISED OF THE POSSIBILITY OF SUCH DAMAGES) HOWEVER CAUSED AND REGARDLESS OF THEORY OF LIABILITY, INCLUDING NEGLIGENCE. THIS LIMITATION OF LIABILITY APPLIES REGARDLESS OF, BUT IS NOT RESTRICTED TO, WHETHER THE ALLEGED LIABILITY, HARM, INJURY, LOSS OR DAMAGES AROSE FROM AUTHORIZED OR UNAUTHORIZED ACCESS TO OR USE OF THE SERVICES; ANY INABILITY TO ACCESS OR USE THE WEBSITE OR THE SERVICES; OR ANY REMOVAL, DELETION, LIMITATION, MODIFICATION, INTERRUPTION, SUSPENSION, DISCONTINUANCE OR TERMINATION OF THE SERVICES. THESE LIMITATIONS SHALL ALSO APPLY WITH RESPECT TO DAMAGES RESULTING FROM ANY TRANSACTIONS OR POTENTIAL TRANSACTIONS, GOODS OR SERVICES PROMISED OR EXCHANGED, INFORMATION OR ADVICE OFFERED OR EXCHANGED, OR OTHER CONTENT, INTERACTIONS, REPRESENTATIONS, COMMUNICATIONS OR RELATIONS THROUGH, RELATED TO OR AS A RESULT OF THE SERVICES.